Ursula K. Le Guin recently passed away. She was among other things, a sci-fi/fantasy author who combined what would today be considered social commentary with a unique and inventive imagination and style. Although I enjoy the European based pseudo-medieval/Dark Ages/Roman era/Renaissance settings that provided fertile fuel for works created by such authors as Tolkien, Vance, Anderson, Martin, Howard and many others, Le Guin always went her own way. And fiction was much the better for that. For me her most enjoyable and influential works were the Earthsea series. These were unusual in fiction at the time of their creation and remain so even today because most of the protagonists were what would today be called people of color. These books have dragons, wizards, quests, the entire Hero's Journey, all in a world that is universes apart from the then popular Tolkien or Howard knockoffs. 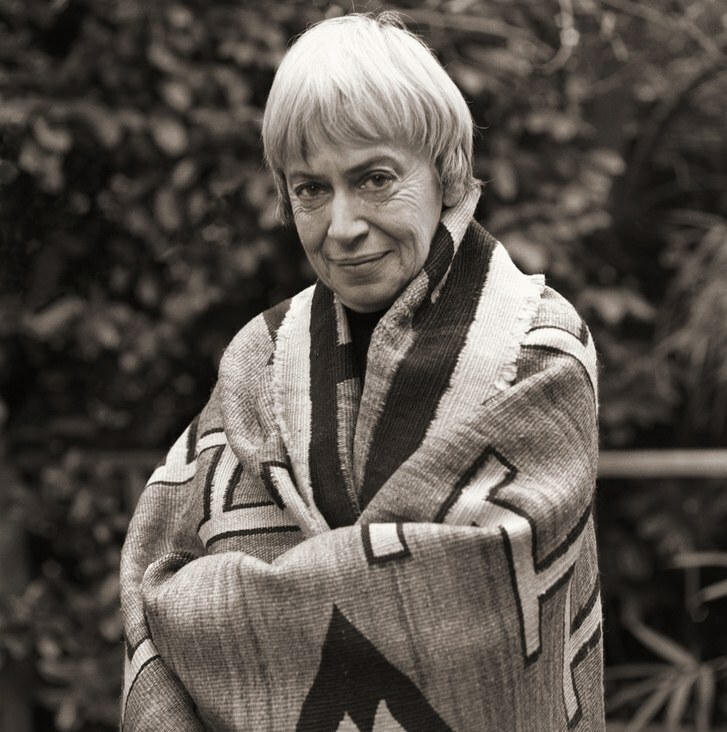 Le Guin also challenged ideas about sexuality, identity, gender, economics and society in such works as The Dispossessed, The Left Hand of Darkness, and The Lathe of Heaven. But what was really different about Le Guin's works was the concept that the "good guy" would not and should not "win" by greater application of effective violence. The struggles Le Guin described were just as much internal ones to find balance as they were external ones to win victory. Violence might occur but it was almost never the answer. It's more important to live in harmony than it is to defeat some great external "evil". That Le Guin was a Taoist almost certainly impacted many of the themes she explored in her works. To a kid like myself who was mainlining on Tolkien and Lovecraft and Brooks and the like, Le Guin was a fascinating change of pace. Her son, Theo Downes-Le Guin, confirmed the death. He did not specify a cause but said she had been in poor health for several months. Ms. Le Guin embraced the standard themes of her chosen genres: sorcery and dragons, spaceships and planetary conflict. But even when her protagonists are male, they avoid the macho posturing of so many science fiction and fantasy heroes. The conflicts they face are typically rooted in a clash of cultures and resolved more by conciliation and self-sacrifice than by swordplay or space battles. And perhaps the times were just different but Le Guin didn't write too many doorstops, if I recall correctly. Her best stories, or perhaps more accurately the ones I liked best, tended to be concise. She got the point across and made you think. I didn't always agree with her but I never finished any of her works with the idea that she just wrote this for a quick buck. Le Guin took ideas seriously and expected her readers would as well. I don't recall any of Le Guin's works, even the ones where she was in agreement with ideas I distrusted, coming across as preachy or didactic. Story came first. There's a lot of current day disputes about people who refuse to see humanity in any creative work unless the protagonists look like them or about creators who are criticized for cultural appropriation for creating protagonists who don't look like them. Whatever. Le Guin showed that good writing trumps all. If you're not familiar with her work you should probably rectify that.